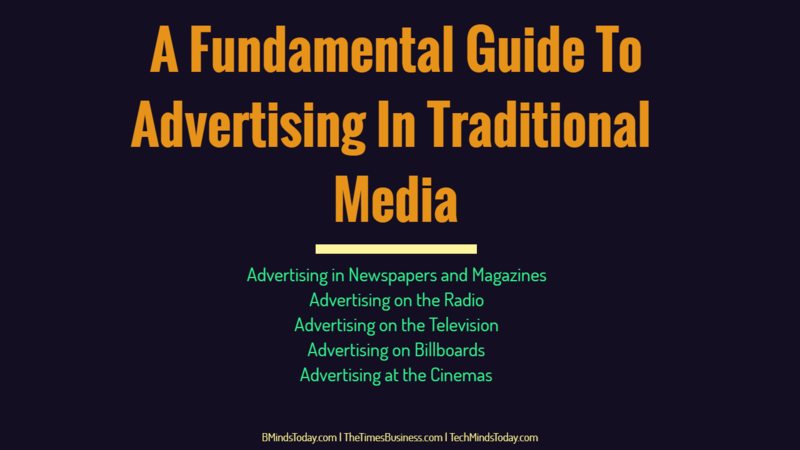 The media is a powerful platform – the average person spends an enormous amount of their life consuming it in one form or another, and will spend a significant percentage of that time looking at, listening to or watching advertisements. If you want to use the power of the media for your business, you need to know what exactly you’re doing. There are actually two categories of advertising you can get in newspapers and magazines: classified ads and display ads. Classifieds are the small ads towards the back of the publication, while display ads can be almost any size, from a small corner of a page to a massive double-page spread. If there’s a publication you’re interested in advertising in, either go to its website or call its advertising department to find out the rates it charges. When it comes to print media advertisements, they are normally bit expensive, and it won’t be that economical for small businesses. There is, however, an exception: niche and trade magazines. If you’ve ever looked around in a newsagent, you will have seen just how many magazines there are out there, filling every conceivable gap in the market. You need to find the magazine that people who are interested in your services might read. For example, if you’re a tutor, look for a magazine related to education or something similar. Advertising in these magazines will be far cheaper than placing an ad in a general-audience publication, and far more likely to actually get some responses. Wherever your business located at, the probabilities are that there’s a local radio station. Once your business grows to a decent size, you might consider obtaining some time on it. Since radio is almost entirely limited to use as in-car entertainment now, you know that almost everyone your ad reaches will be a car-owner, and so might be interested in what you’re offering. If you offer something that people need, you can get a huge response. The negative side of radio advertisement is they mostly offer the listener no opportunity to keep your ad and refer to it later, or to find it again in the future. You will find that any ads involving a phone number are dramatically impractical. Except your business is getting pretty big, this would be quite an expensive idea. If there’s a market for your product and you’ve got sufficient budget for this, you then could proceed. The businesses that tend to do best out of TV ads are ones that have an ‘exclusive and valuable innovation’ with easy-to-demonstrate benefits. Billboards advertisement is the one that gets snubbed pretty often, but can be very effective if you apply it right. Billboard ads are somewhat expensive, but they do generally stay up for a long time, and they can be very specifically targeted to an area — the one where they’re physically located. You’ll have the best results with this if you can place one near enough to your business. For instance, you can insert saying ‘turn right at the next junction’ or something like that. If your business is service based, you then can insert phone numbers website address. In conclusion, here’s one that often gets unnoticed. If you turn up to the cinema early, you might have seen that before the big-budget ads, ads for local businesses are run. This can be a great place to advertise relatively inexpensively in quite a high-profile way, and it works especially well for small and local businesses.